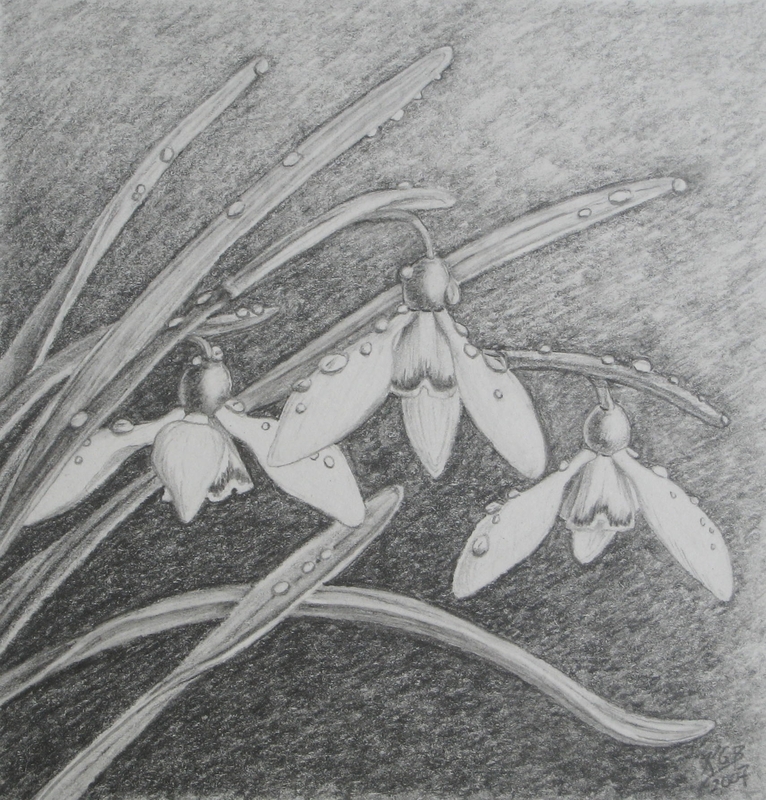 This is one of a number of snowdrop drawings I spent some time on a long while ago…perhaps I shall do more; I love working with just pencil. 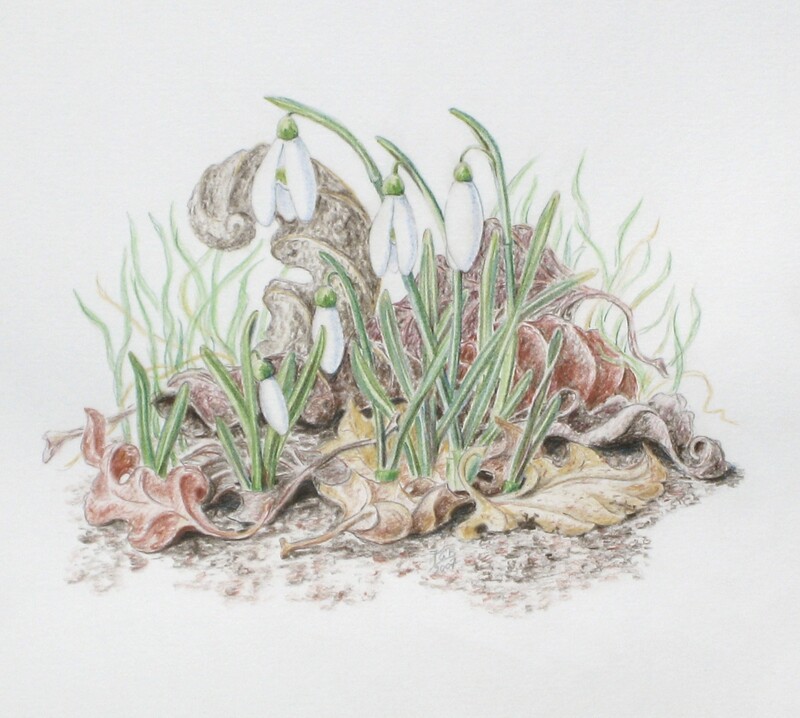 Inspired by Mom and her ‘Elfigies’ (3d elf scenes) and love of the detail of the natural world. I’ll post a picture of one sometime…. A rare use of colour pencil. No date – roughly 2007.